Arthur Bertram "Art" Modell (June 23, 1925 – September 6, 2012) was an American businessman, entrepreneur and National Football League (NFL) team owner. He owned the Cleveland Browns franchise for 35 years and established the Baltimore Ravens franchise, which he owned for nine years. Assuming control of the Browns franchise in 1961, Modell was a key figure in helping promote the NFL and was initially popular in Cleveland for his active role in the community and his efforts to improve the team. However, he made controversial actions during his ownership, which included the firing of Paul Brown, the franchise's first coach and namesake. In 1995, Modell faced widespread scorn in Cleveland when he attempted to relocate the Browns to Baltimore. While the Browns were ultimately able to remain in Cleveland, Modell was allowed to retain the contracts of all Browns personnel, who formed the Baltimore Ravens in 1996. Modell's impact on the Browns franchise remains controversial due to the Browns' consistent struggles since returning to the league as an expansion team in 1999 and the success of the Ravens. Art Modell is widely known as one of the most hated men in Cleveland sports history. Modell also once stated his team was losing money, when they were in fact 5th in the NFL for attendance and 2nd in Nielson Ratings. Modell was born to a Jewish family in Brooklyn, New York. His father George was a wine sales manager who went bankrupt after the stock market crash of 1929 and later died when Modell was 14. Modell attended New Utrecht High School. At the age of 15, Modell left high school to help support his family. His first job was cleaning the hulls of ships in a Brooklyn shipyard. In 1943, when he was 18, he joined the US Army Air Corps. After World War II, he enrolled in a New York City television school under the G.I. Bill. In 1947, he founded his own production company with a fellow student and in 1949, they produced one of the first daytime shows in the country, Market Melodies, dedicated to cooking and decorating. Modell sold the idea of his show to the Grand Union grocery store chain and Modell installed televisions, at his expense, in the aisles of the chain's stores where the show soon became very popular. At the time, very few households had televisions so the store format was wildly successful. In 1954, using the lucrative Grand Union account as leverage, he was hired as a senior account executive at the advertising company L.H. Hartman Co. in New York City, eventually becoming a partner. Formed after the Prohibition era, the L.H. Hartman was primarily involved in liquor advertising. In 1958, Modell bought an upstate New York champagne maker, Gold Seal Vineyards Inc. In 1960, L.H. Hartman was dissolved, and Modell again used his Grand Union account to land a job as senior vice president at the advertising firm Kastor, Hilton, Chesley, Clifford & Atherton. During the 1940s and 1950s, Modell worked in the advertising, public relations businesses and television production in New York City. He purchased the Cleveland Browns in 1961 for $4 million, investing only $250,000 of his own money. He borrowed $2.7 million and found partners to cover the rest. Unlike the Browns' previous owners, Modell immediately took an active role in the management of the team, and fired legendary coach Paul Brown on January 9, 1963. Paul Brown had won seven league championships prior to Modell's acquisition of the team. After firing Brown, Modell quickly named Brown's assistant, Blanton Collier, as the new coach on January 16, 1963. After three non-playoff seasons, the 1964 Browns' team would finish 10–3–1 and appear in the 1964 NFL Championship Game against a heavily favored Don Shula coached Baltimore Colts team with Pro Football Hall of Fame quarterback Johnny Unitas as its signal caller. The Browns beat the Colts 27–0 in Cleveland Municipal Stadium. This particular Browns team consisted of many players initially drafted and acquired by Brown. During the next 30 years in Cleveland, not a single Modell team won the league title, although they would go on to appear in a total of seven NFL/AFC championship title games during the period. Prior to Modell's arrival, the Browns had dominated the NFL and the AAFC, winning seven championships in 17 years. Using his background in advertising to market the team, Modell showed a flair for promotions, with one popular innovation coming in 1962 by scheduling pro football preseason doubleheaders at Cleveland Stadium. Modell became active in NFL leadership, serving as NFL President and using his television connections to help negotiate the league's increasingly lucrative television contracts. Modell also was willing to provide his team as an opponent for both the first prime time Thanksgiving game in 1966 and the opening Monday Night Football broadcast in 1970. Modell took an active role in Cleveland community life and was a leading fundraiser for charities and various Republican Party candidates. He married TV soap opera star Patricia Breslin in 1969, having previously been a well-known bachelor and man about town. For many years he was able to disarm newspaper and TV reporters with his quick wit. For example, with regard to the NFL's innovative policy of sharing all network television revenue on an equal basis per team, so that the Green Bay Packers and New York Giants each got an equal slice of the revenue, he joked, "We're 26 Socialists who hate America!" In 1967, five African American members of the Browns involved in a contract dispute refused to report to training camp. Modell eventually traded or released four of the players, with only standout running back Leroy Kelly staying. Kelly would go on to "play out his option" but the restrictive nature of free agency in the NFL at the time severely limited his options. Subsequent contract battles with defensive end Jack Gregory in 1972 and second-round draft pick Tom Skladany in 1977 only served to damage Modell's image among Cleveland fans. Feeling that the constant sellouts the team had enjoyed should be used to bolster the team, fan animosity manifested itself with anti-Modell stadium banners that were quickly removed by Cleveland Stadium management. Modell took control of Cleveland Municipal Stadium in 1973, which had been owned by the City of Cleveland but had become too expensive for the city to operate or maintain. He worked out a deal with the city whereby his newly formed entity, dubbed Stadium Corp., would rent the stadium from the City for $1 per year, assume all operating and repair costs and would sublease the stadium to its two primary tenants, the Browns and the Cleveland Indians, Cleveland's franchise in the American League of Major League Baseball. As head of Stadium Corp., Modell was also the landlord of the Indians organization. This was a sound business decision even though the Indians played poorly and drew small crowds throughout much of the 1970s and 1980s. The Browns who were paying rent to both themselves and Modell, by constructing loges in the ballpark, generated significant cash flow from the loge rentals not shared with the Indians. Modell later claimed the loge rentals were not profitable as he had financed their construction at the prevailing high interest rates, although he did not explain why the rental income that was earned was not used to offset the debt. The Indians organization became dissatisfied with Modell's Stadium Corp. as its landlord. Modell did not share the loge revenues earned from baseball games with the Indians. Eventually the Indians persuaded City of Cleveland and Cuyahoga County voters to fund a new ballpark (which became known as Jacobs Field) through new taxes. In turn, Modell was dissatisfied with the Indians' new ballpark because Stadium Corp.'s suite rental revenue decreased once Jacobs Field opened. Many suite customers switched their business from Cleveland Stadium's older suites to Jacobs Field's newer suites, due to the Indians' new-found success and popularity in the mid-1990s and because Modell's Stadium Corp. refused to decrease the annual rent for the suites even though the events for which the suites could be used decreased substantially (81 home games) with the loss of the Indians as a tenant. In 1979, Stadium Corp. and Modell were implicated in a lawsuit brought by Browns minority shareholder Robert Gries of Gries Sports Enterprises, who successfully alleged that Stadium Corp. manipulated the Browns' accounting records to help Stadium Corp. and Modell absorb a loss on real property that had been purchased in the Cleveland suburb of Strongsville as a potential site for a new stadium. The lawsuit, Gries Sports Enterprises v. Cleveland Browns Football Co., 26 Ohio St. 3d 15 (1986), was a leading Ohio case concerning a corporate officer's fiduciary duty toward shareholders. Modell was offered a place as a tenant in Cleveland's new Gateway Sports and Entertainment Complex. However, he instead asked for improvements to Municipal Stadium. Because Modell's Stadium Corp. still controlled Municipal Stadium, it may have made more business sense for Modell to try to keep the Indians at Municipal, particularly as the baseball team began to show signs of improvement both on the playing field and at the box office. The Indians went on to play in the World Series in 1995 and 1997, and sold out 455 straight games at Jacobs Field from 1995 until 2001. The City of Cleveland agreed to make the improvements to Municipal Stadium which were to be funded through an extension of the sin tax, which was instead used to provide funding for the Gateway Sports and Entertainment Complex. While the City of Cleveland, Ohio wanted to improve Municipal Stadium, Modell issued a public moratorium on discussions relating to the stadium issue for the future of his franchise. It was during this time that Modell entered into secret discussions with the State of Maryland to move the franchise to Baltimore for the 1996 season. The announcement of the move occurred several days before the public referendum on the extension of the sin tax that would fund the improvements on Municipal Stadium as Modell had originally requested. Modell wrote a letter to Cleveland's mayor Michael R. White and Ohio's governor George Voinovich saying that the passing of the referendum may not be enough to keep the Browns. Modell had lost $21 million in the previous two seasons. Modell also wanted that information to be made public. Commentators have speculated that the timing of the announcement was to cause the referendum to go down in defeat and thus allow Modell to make the case that he was not receiving the public support he needed to remain viable in Cleveland. Nonetheless, the referendum was passed by a wide margin. Modell was assisted in the move by Alfred Lerner, who would go on to become the new owner of the reactivated Cleveland Browns franchise in 1998. Modell's move returned the NFL to Baltimore for the first time since the Colts left for Indianapolis after the 1983 season. The reaction in Cleveland was hostile. Modell had promised never to move the team. He had publicly criticized the Baltimore Colts' move to Indianapolis, and had testified in favor of the NFL in court cases where the league unsuccessfully tried to stop Al Davis from moving the Oakland Raiders from Oakland to Los Angeles. The City of Cleveland sued Modell, the Browns, Stadium Corp, the Maryland Stadium Authority, and the authority's director, John A. Moag Jr., in City of Cleveland v. Cleveland Browns, et al., Cuyahoga County Court of Common Pleas Case No. CV-95-297833, for breaching the Browns' lease, which required the team to play its home games at Cleveland Stadium for several years beyond 1995. Eventually the NFL and the parties worked out a deal. The Browns' franchise would be deactivated for three years. Modell initially tried to take the Browns name with him to Baltimore. However, as part of a negotiated settlement, Modell agreed that he would leave behind the Browns' name, colors and heritage (including team records) for a replacement franchise, in the form of either a new team or a relocated franchise. In return, Modell was allowed to take the franchise rights, players and organization to Baltimore to form a new team, the Ravens. Cleveland received a loan from the NFL to help with the cost of a new stadium. The Browns returned to the NFL in 1999 with Lerner, a friend of Modell as well as a minority owner of Modell's original franchise and MBNA CEO and owner, assuming ownership, after Lerner outbid other interested parties for the right to buy the reactivated Browns' franchise. During Modell's 35 seasons as team owner the Browns qualified for the postseason 17 times, winning 11 division titles and the NFL championship in 1964. The team's overall regular season record during Modell's tenure was 252–233–10, (winning percentage .519), and its post-season record was 7 wins against 14 losses (winning percentage .333). The move fueled a proliferation of 12 new stadiums throughout the NFL. Using the NFL-City of Cleveland agreement's promise to supply a team to Cleveland by 1999, several NFL franchises coerced their respective cities to build new stadiums with public funds. Such franchises include the Broncos, Eagles, Seahawks, Buccaneers, Bengals, Lions, Cardinals and Colts. The Minnesota Twins signed a deal with Hennepin County, Minnesota for Target Field in 2006, where they agreed to a provision that was later codified into law which allows the state of Minnesota the right of first refusal to buy the team if it is ever sold, and requires that the name, colors, World Series trophies, etc. remain in Minnesota if the Twins are ever moved out of state, a deal similar to what Modell agreed to with the city of Cleveland during the move. In December 2005, the San Jose Earthquakes MLS franchise moved to Houston, Texas to become the Houston Dynamo. At the time, it was announced by the league that while players and staff would move with the team, the team name, colors, logo, and records (including two championship trophies) would stay in San Jose for when a new expansion team arrives. In 2008, the Earthquakes returned under the ownership of Lew Wolff, a real estate developer, landowner and part-owner of the Oakland Athletics MLB franchise. There have been discussions about moving the Oakland A's to San Jose (which seem to be hampered by the San Francisco Giants territorial rights to the south Bay Area) although offers to move to the A's to Sacramento, California (where the A's minor league club – the River Cats – are based) have been rejected by the A's ownership. When the Seattle SuperSonics moved to Oklahoma City, Oklahoma in 2008, the owners agreed to leave the 'SuperSonics' name, logo, and colors in Seattle for a possible future NBA franchise; however the items would remain the property of the Oklahoma City team along with other "assets" including championship banners and trophies. The team was subsequently renamed the Oklahoma City Thunder. Both the Thunder and any future Seattle NBA team will also "share" the SuperSonics' history. Additionally, the San Diego Chargers have threatened to leave San Diego in the mid-2010s, but there have been rumors of a settlement requiring Chargers owner Dean Spanos to leave the name behind the Chargers' name and colors. Modell was a Hall of Fame finalist in 2001 and a semifinalist in 2004, 2005, 2006, 2007, 2009, 2010 and 2011. The original Browns were considered one of the NFL's flagship franchises, as well as an institution by many Northern Ohioans. He never returned to Cleveland after 1996. When Browns kicking legend Lou "The Toe" Groza died in 2000, Modell did not appear. When the final game was played in Cleveland Municipal Stadium in 1995, there were more people outside it protesting the move than inside enjoying their last Browns game before the three-year deactivation. The protesters were acknowledged by the NBC announcing crew. Former NFL head coach Mike Ditka said, "...these are some of the best fans in the NFL. I said that when I came here with my Bears. They (the Cleveland sports fans) don't deserve this. If Modell had any sort of sense of dignity he would have sold the team." By the 1990s, Modell was disturbed at what he saw as the financial distress of the Browns and the Stadium Corp., as recounted in detail in the book Fumble: The Browns, Modell, & the Move by Michael G. Poplar with James A. Toman (ISBN 0-936760-11-7) which was written by a Modell associate and longtime Browns employee. Less charitable portraits of Modell are contained in the books Glory for Sale: Inside the Browns' Move to Baltimore & the New NFL by Jon Morgan (ISBN 0-9631246-5-X) and Pay Dirt: the Business of Professional Team Sports by James Quirk and Rodney D. Fort (ISBN 0-691-01574-0). Many Baltimore fans, including several prominent old-time Colts players who lived in the area, considered the Ravens to be the successors of the Baltimore Colts. Other retired stars, like Art Donovan, had mixed emotions about the Ravens' arrival: happiness that the great fans of the city now had an NFL team to cheer for again, but also sadness that Cleveland had felt the same loss that Baltimore had in 1984, and a neutral view of the new team itself. 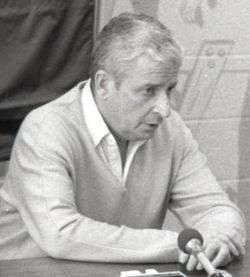 Upon the team's move in 1996, Modell selected former NFL head coach and offensive guru Ted Marchibroda as its new head coach. Marchibroda, who also had been the head of the Colts when they were in Baltimore during the late 1970s, had coached them the previous three seasons in Indianapolis, and they were fresh off of an appearance in a memorable 1995 AFC Championship loss to the Pittsburgh Steelers. However, the new Ravens still struggled to be competitive and suffered in mediocrity for the first 3 seasons in Baltimore, missing the playoffs each year. In 1999, they hired former NFL assistant coach Brian Billick as the head coach, replacing Marchibroda. Like Marchibroda, Billick, an Ohio native, had been considered one of the brightest offensive minds among the league's offensive coaches, and also had been considered by Modell as a possible Browns head coaching candidate. In 2000, the Ravens, under the coaching of Billick, qualified for the postseason for the first time, winning the AFC Wild-Card position with a 12–4 record. (Tennessee won their division that year.) Led by a stingy defense anchored by team captain and NFL All-Pro middle linebacker Ray Lewis, and quarterbacked by former Pro-Bowler Trent Dilfer, they would go on to defeat the NFC Champion New York Giants in the Super Bowl, 34–7. Shortly after the Super Bowl XXXV victory, Modell handed the reins of the day-to-day operations of the team over to his son, David. The Ravens qualified again for the postseason in 2001 as defending Super Bowl Champions, and once more in 2003, winning their first division title. The Ravens' regular season record during Modell's tenure as team owner stands at 72–63. Modell and his wife, former television actress Patricia Breslin, donated millions of dollars to a variety of charities, most notably the SEED School, a boarding school being developed in Baltimore for disadvantaged youth; Johns Hopkins Hospital; Kennedy Krieger Institute; St. Vincent's Center, a home for abused children; and the House of Ruth, a domestic violence center. Modell received the Generous Heart Award from the Dr. Ben Carson Scholarship Foundation, given annually for excellence in the community. Despite a no-cost stadium lease, all revenues from parking, concessions, and TV, as well as a reported $25M per year Maryland subsidy, Modell's ownership of the Ravens resulted in continual financial hardships for the team. In late 2002 the NFL took an unusual step and directed Modell to sell his franchise, and in 2003, Modell sold the Ravens to minority owner, Maryland businessman Steve Bisciotti. Under the deal, Modell retained a small interest (approximately 1% share) upon the team's sale as a legal maneuver to avoid a claim by the Andrews trust, which was controlled by family of a former business adviser who sought to collect an estimated $30 million finder's fee upon Modell's sale of the team. The Andrews trust essentially claimed that under a 1963 agreement, Modell owed a finder's fee for his original purchase of the team which was to be paid when Modell sold his entire interest. In July 2005, Modell prevailed in court and defeated the Andrews trust's claim. At the time of sale the franchise's worth was estimated at approximately US$600 million. Soon after Modell moved the franchise to Baltimore in 1996, he had sold a small minority interest to Bisciotti. After owning the NFL franchise for 44 seasons, Modell sold controlling interest of the team to Bisciotti, citing ill health. However, Bisciotti had the option to buy the team fully in right (approximately 99%) until March 2004, this upon becoming a minority owner (about 45%) outright in 1999. Bisciotti exercised his purchase option in January 2004. Modell retained his 1% share and an office at the Ravens' headquarters in Owings Mills, Maryland as a team consultant. The furious fan reaction to Modell's planned move of the franchise to Baltimore has been lampooned and chroniclized in many media circles, particularly in print and television. On the cover of the December 4, 1995 issue of Sports Illustrated titled "Battle for the Browns", there is a cartoon of Modell punching a Browns fan, adorned with a Browns Helmet/dog and dogbone mask, in the stomach. He was portrayed in the 2008 movie The Express, which was about Syracuse running back and Browns draftee Ernie Davis. An episode of The Drew Carey Show (whose title character is a native Clevelander) referenced Modell. During a party at Drew's house, which featured many Cleveland personalities, former Browns quarterback Bernie Kosar asks Drew where the bathroom is. Drew directs Kosar to the bathroom, following with the instruction, "Just don't take a Modell." Modell's only marriage was to Patricia Breslin, lasting from 1969 until her death in 2011. He adopted Breslin's two sons, John and David, from her first marriage to actor David Orrick McDearmon (1914–1979). David would later work for the Browns/Ravens' franchise, eventually become team president and CEO before the team's sale in 2004. Modell had been considered one of northeastern Ohio's most eligible bachelors, as well as a man about town, before marrying Patricia. As of 2009, Modell and his wife lived in Cockeysville, Maryland. They also retained residences in nearby Owings Mills, Maryland, where son David lives with his family, and Vero Beach, Florida. They had a total of six grandchildren. Patricia died on October 12, 2011 at the age of 80. Modell had a history of coronary disease. He died on September 6, 2012, at Johns Hopkins Hospital at the age of 87 due to natural causes. The Ravens dedicated the 2012 season to Modell. On Week 1, all team members wore an "Art" decal on their helmets, and for the rest of their season, they wore an "Art" patch on the left side of their jerseys. They would go on to win Super Bowl XLVII. On July 23, 2014, a video surfaced on YouTube of an unidentified Browns fan desecrating the grave of Modell wearing a Lyle Alzado jersey by urinating on the grave through a catheter. Baltimore County filed charges for disorderly conduct at the request of Modell's son David Modell once the fan was identified. 1 2 3 4 5 6 7 McFadden, Robert D. (September 6, 2012). "Art Modell, Owner of Browns, Then Ravens, Dies at 87". The New York Times. Archived from the original on September 6, 2012. ↑ Neumann, Thomas (March 11, 2016). "Tangled history of Cleveland Browns, Baltimore Ravens now dates back 20 years". ESPN. ↑ Loede, Matt (December 21, 2015). "Top Ten Reasons Why The Browns Have Failed Since 1999". NEO Sports. ↑ Mihoces, Gary (December 25, 2003). "Modell marking time". USA Today. 1 2 Ginsburg, David. "Despite legacy, Modell still isn't in Hall of Fame". yahoo.com. Associated Press. Archived from the original on September 6, 2012. ↑ "Sports Illustrated December 04, 1995 | Volume 83, Issue 24". CNN. Retrieved September 6, 2012. ↑ Schudel, Jeff (October 12, 2011). "NFL: Art Modell's wife, Pat, dies at 80". News-Herald. Retrieved October 17, 2011. ↑ "Art Modell Passes Away At 87". BaltimoreRavens.com. September 6, 2012. Archived from the original on September 6, 2012. ↑ Ravens Dedicate Season To Art Modell, by Ryan Mink. BaltimoreRavens.com. Retrieved on November 28, 2012.